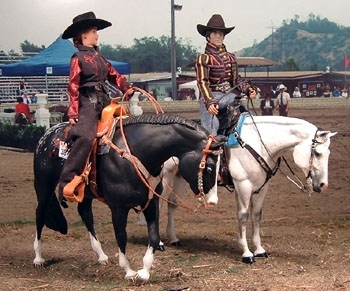 In the line-up, horse side-passes to the right to make room for the cutie on the grey horse. Wow this scene looks so real! The customs are interesting and the grey cm Lady Phase (?) has a really sweet face.